Can't click Finish — Welcome to the GameSalad forum! Does it actually not create the .apk file? You shouldn't need to press the 'finish' button for that. doesn't create. what should i do ? 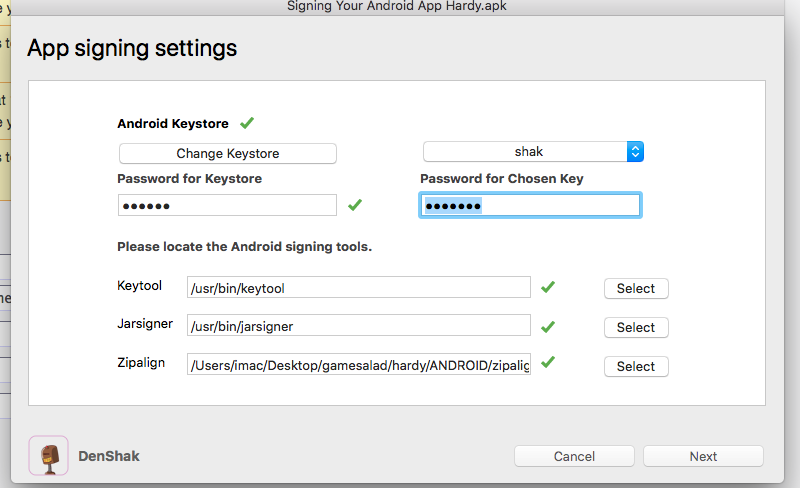 I'd say, log out of your GS account, restart computer, re-log in GS, re-generate project and try to sign APK again. Unfortunately it being the holidays, anyone from the GS team is even less likely to respond than any other time.